The need for modern computers to store very large amounts of information has brought a rapid increase in the use of platinum to improve the data storage capacity of hard disks. The first hard disk drive, introduced by IBM in 1957, used fifty disks, each measuring 24 inches in diameter, to store just 5 megabytes of data. Nowadays, PC hard disks are available which can store 125 gigabytes (125,000 megabytes) of data, and capacity is increasing all the time. 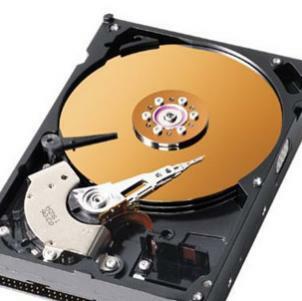 Manufacturers aim to continually reduce the average number of hard disks in each drive, so technology which can offer denser data storage is eagerly sought after. Adding platinum enhances the magnetic qualities of the cobalt alloy, enabling data to be stored at higher densities and improving access times. Today, all hard disks contain platinum in their magnetic layers, compared with around 50 per cent in 1997. The proportion of platinum in the magnetic alloy has been increasing steadily over time, from less than 10 per cent five years ago to over 35 per cent, on average, today. You have finished reading Presence of Platinum in a Hard Drive and many articles about Tech Gallery in our blog this, please read it. and url link of this article is https://littlebitjohnny.blogspot.com/2013/01/presence-of-platinum-in-hard-drive.html Hopefully discussion articles on provide more knowledge about the world of new tech gadgets.